Unless you live under a rock, you might know that Apple launched their latest device the iPad last Saturday. Along with the Apple hype and a lot of varying opinions about what the iPad means to computing, some automakers took the iPad plunge and did some marketing around the launch. Hyundai definitely made the biggest splash with its announcement that their new luxury flagship (yes you read that right Hyundai is now a luxury carmaker) the $50,000+ Equus sedan will come with an iPad for its owner manual. That’s right if you just bought a $50,000 plus Hyundai you’ll be reminded that you’ll be sharing the dealership service lane someday with a Hyundai Accent. Regardless, Hyundai definitely made the biggest PR splash with their iPad owner’s manual announcement with coverage across every major automotive blog, NY Times, USA Today, LA Times, and even several International publications. Personally, I could care less about the iPad manual in the Equus. I'm more interested in how cool the backseat seating is in the Equus Long-Wheelbase edition. 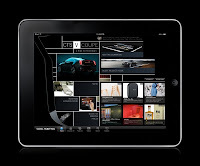 Cadillac took a more expected path by being the first automaker to integrate fully into the new platform’s software/hardware capabilities with their integration into a trendy publication application for iPad called Cool Hunting. This probably would’ve been bigger news if Hyundai hadn’t usurped the car plus iPad news. 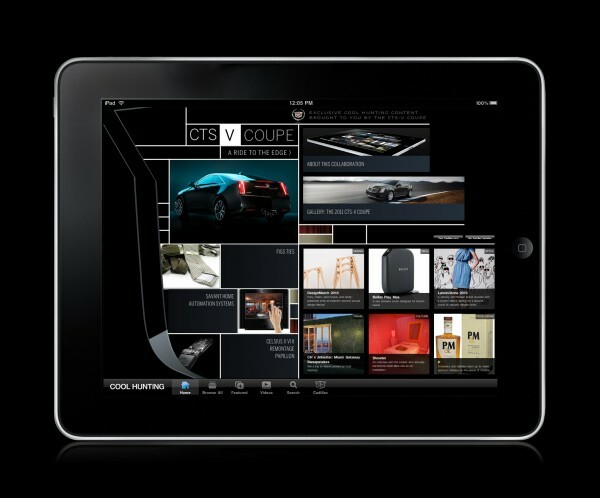 The Cool Hunting application brings together some interesting style, hipster, trendy news stories and then integrates the CTS Coupe and CTS-V Coupe products into the app. Lincoln and Toyota also showed up on the iPad with some media buys that coincided with the iPad launch. Funny thing though is that Toyota didn’t get much attention for its ad buy; rather, any Toyota buzz came from a custom stereo installer who modified the dashboard of a Toyota Tacoma to do the first iPad in-car installation. This in-car install had more buzz than the Hyundai Equus iPad manual news and made the installer the big buzz winner of all things iPad automotive related. Lastly, some more gratuitous marketing ensued at the New York Auto Show that’s going on at the same time as the iPad launch. Volvo shared some pictures of their auto show models holding an iPad and I guess talking about how naughty the new Volvo S60 is or is it how naughty one can be in a Volvo S60? Oh well, it doesn’t matter because their effort worked and I made this attempt at iPad brand-association my blog post’s lead image. Every time I hear "Naughty Volvo S60" all I can think of is all the wildly inappropriate things that China sells in vending machines.